Patient Cena Fit – Personal Training Now Available. For every journey, the first step is the most important. Unless you are dedicated and set your mind onto a target, nothing can be achieved in this life. My hope is in Jesus Christ. I have always dreamt of getting stronger, always ready to walk that extra mile. I have achieved all this so far because I have kept my mind and eyes set on what i wanted to achieve. This is what God gives me to use in my daily activities and encourages me to move forward and stay healthy. Sign up for personal training sessions before December 31st and bring a friend for free! 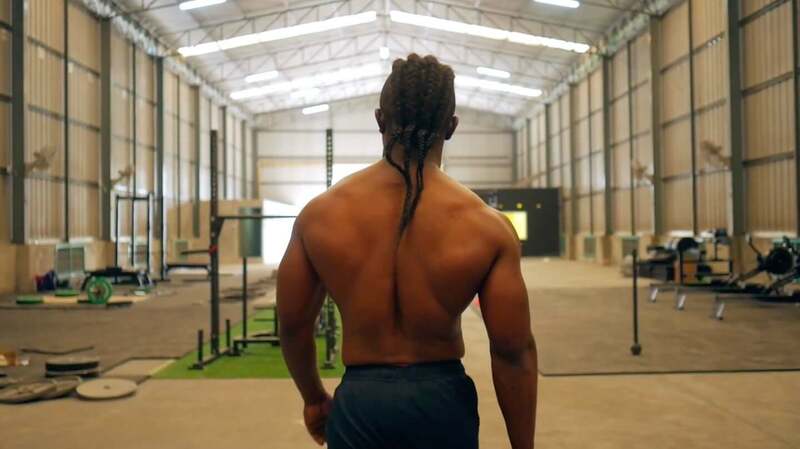 Training to be a strongman will, without a doubt, add solid gains in not only muscle, but also endurance, power, static strength, and that all-important X factor, mental toughness. Strongman training will help you to develop your physical skills and to develop your mind. It will help you to connect your mind to your body to help you to perform better. Strongman training helps you to become the best athlete that you can be, with both a strong mind and a strong body. Push past your limits. Push past what you think you can do. Push past the fear. If you tell yourself you can't do something, guess what? You can't do it. It's a pretty simple concept to learn, but many people fail to really grasp it. Pushing yourself past your own set limits is the essence of strength sports. Most training plateaus are the result of mental barriers rather than physical limitations. Training for strongman is simple: Lift heavy, odd objects either further, faster, or more times than the guy next to you, but it sure isn't easy! If done correctly, it will take you to a new level of training. You'll learn how to deal with pain and start busting through plateaus like never before! In powerlifting, we focus on three movements: deadlift, back squat and bench press. The goal is to develop power. This requires training 3-4 times per week. Also, I provide pre-half workouts that prevent injuries. The other aspect of powerlifting is mental fitness. This is because powerlifting requires preparation, purpose and goal setting. If you are doing the movement just for the sake of doing something, you won’t be successful. It is important to set goals for yourself and find the motivation to achieve these goals. Therefore. I am training both the mind and body. It is training your mind to connect to your body to lift the heavy weights. All levels are welcome. Everybody has to start somewhere. All you have to do is take the first step. Crossfit is overall fitness training. I focus on a variety of movements to improve strength and conditioning, producing a well rounded approach to health and fitness. The reality is that we all face physical challenges in our everyday lives. Therefore, the goal is always to get more fit. I concentrate on cardio, weight lighting and gymnastics. Included with this is strength training so that we can be prepared for any and all that life has to throw at us. GET FIT IN 15 DAYS! This program will take 15 days (3 weeks, 5 days a week for 2 hours consecutively). It will help you to lose weight and build up muscle mass. We will focus on strength training, along with cardiovascular and core work. All levels are welcome. For this group challenge, we need 6 participants. We will be including team workouts, so that we can play some games and have fun! This will help us to build community and have a great experience by learning new skills that we can use in daily life, anywhere at any time. This workout regiment can improve your health, give you muscle tone, and help you to look and feel better! 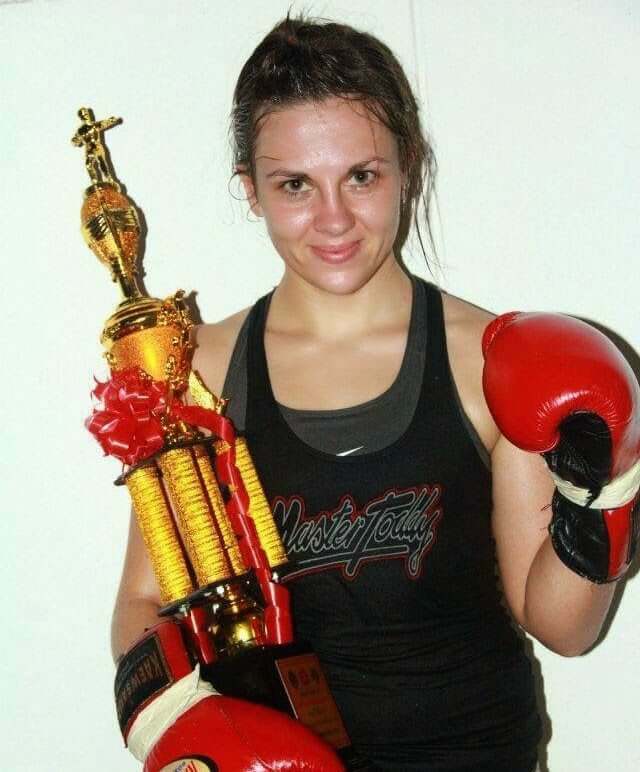 Emma is a professional Muay Thai fighter with 30 fights and more than 6 years of experience in the sport. She also competes in powerlifting. She’s now available to teach Muay Thai and Strength and Conditioning in group classes or one-on-one sessions. Padd was born and raised in Bangkok, with a background in sports, surfing and traveling. She has been doing crossfit for nearly three years and it has become her passion. 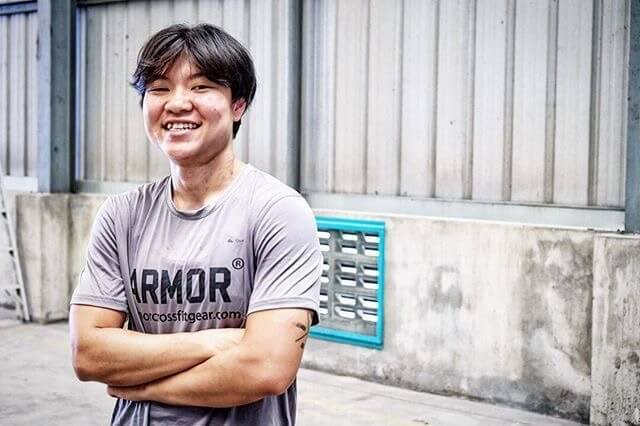 She just started competing in crossfit last year and has done competitions in Thailand and Malaysia. In the 2017 Asia Championships, held at Training Ground in April 2017, she placed 2nd in the women’s master division. Patient Cena is a professional athlete and personal trainer. He has been living in Bangkok, Thailand for 4 years and is originally from the Democratic Republic of Congo. Matt Cass is a competitive fitness athlete and coach from the USA. 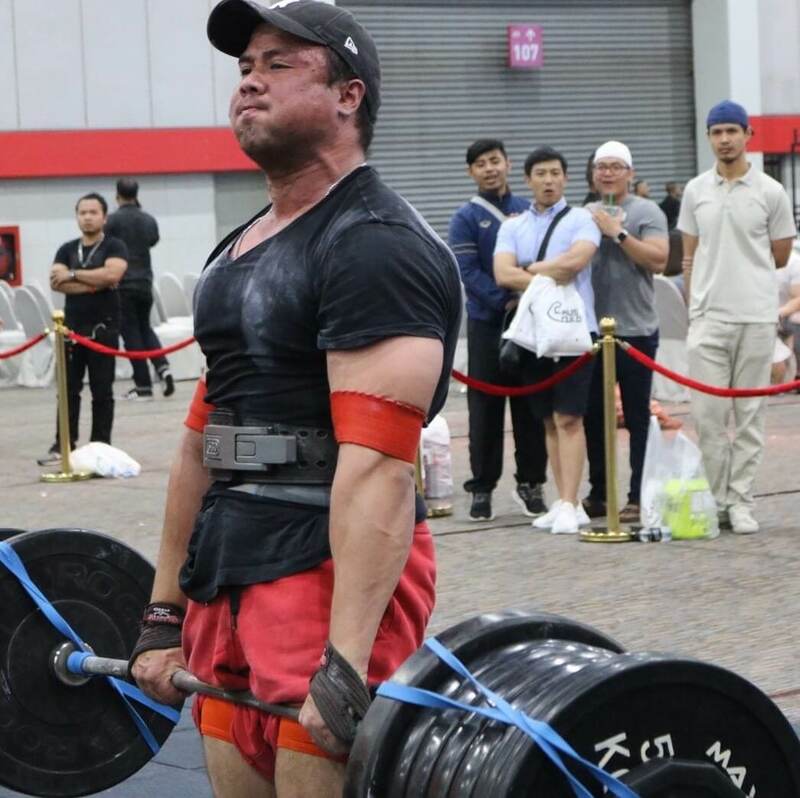 He has competed in Crossfit competitions in Thailand, Malaysia, Singapore, Australia and the USA. 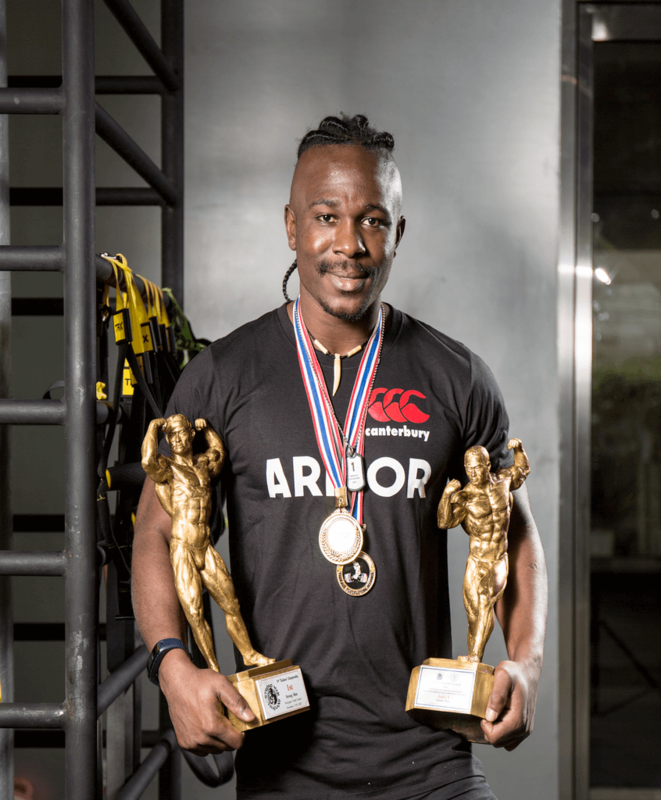 In his 3 years of competing in crossfit competitions, he has participated in over 20 events and has finished in first place, or top three, in many events. He currently teaches crossfit, bootcamp and HIIT classes, as well as doing personal training. This week I trained with Patient. I’m not going to lie, it hurt. But the best kind of hurt. The kind that pushes you forward and makes you better. I loved training with him! Count me in for another round! Great personal trainer. Patient, outgoing, and knowledgeable. He was very willing to develop a program around my goals and he motivated me to get reach them. Patient is a courageous, friendly and humble guy. I really appreciate him so much. Patient is very knowledgeable. With only two sessions, I’m already ready to lift lifetime personal records. He is a coach who invests time and effort into their athletes’ training. Very knowledgeable and professional coach!! Taught me so much in just a few sessions. 100% would recommend to any serious athlete! I train with him 6 days a week, twice on Saturday. He is really good, really pushes you and won’t let you negotiate. I would recommend him to anyone who wants to get fitter and healthier. You never know until you try. Don’t judge a gym by its looks. If you judge by its looks, you will end up with a wrong gym forever. For me I just found one. And it’s the #Rhino. Exercise it’s not just losing weight, it’s improving your ability to the limits and break it like a boss. 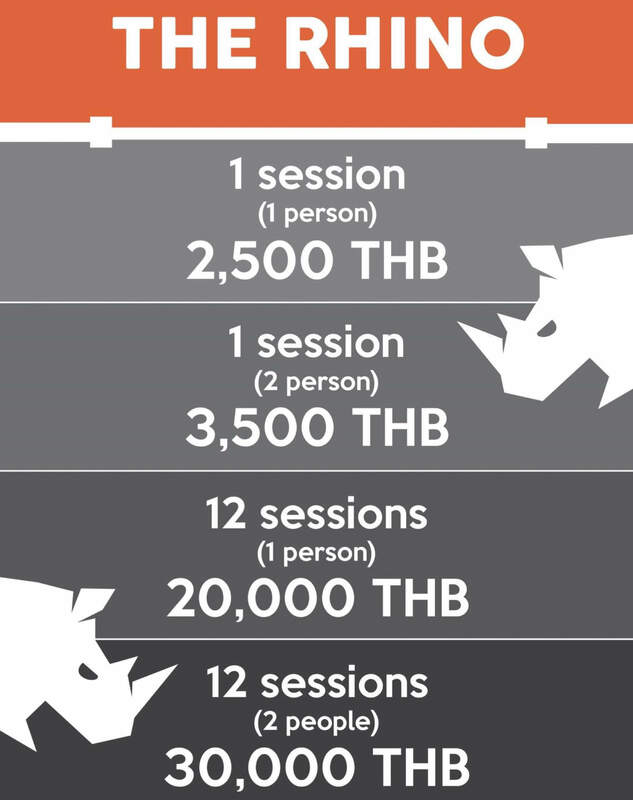 Come join the Rhino pack ???????????????????? Patient is such a good trainer. I really struggle with weights and have a bad knee from years of running but he’s helped me to improve my strength while still looking after my knee. He’s funny, friendly and very dedicated to his job. 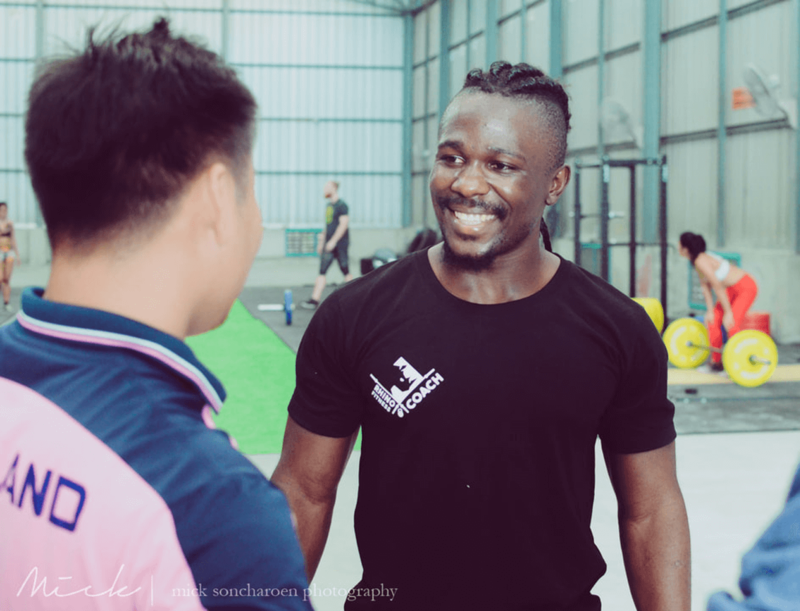 Best trainer in Bangkok!!! Patient is an amazing trainer, from his techniques to motivation and right down to nutrition advice. Training with him always gives me the extra edge. Highly recommend to people who want to achieve their fitness goals, all the way from beginners to the more advanced. Best personal trainer I’ve had. If you’re a complete beginner or a seasoned pro Patient will get you the results you’re after ???????????????? Was doing personal training with this guy for a couple months and I got much better in my weightlifting and gymnastics. Started to deadlift 300lbs after first month. Check out my blog on Facebook for videos and inspiration along your fitness journey. I will post tips, tutorials and work out strategies. If you have any feedback, feel free to send me a message with your thoughts! My up coming t-shirts. the competition shirt, representing all my sponsors and both country’s #congo and #thailand . God gave me style, God put this smile on my face, God make me Shine like sun, sometimes I feel like num one, ain’t my fault. @50cent #50cent @gunitlife #gunit . When I got hurt in 2016, I was doing squats. The plan was - every 3 minutes, 3 squats for 1 hour at 143 kilograms/315 pounds. But on my third set, my back started to feel strange and I stopped. I went and sat down for 10 minutes. When I stood, I couldn’t stand up. I felt locked. I couldn’t stand up. I forced myself to stand up and become straight. For 3 weeks, I couldn’t bend my back. I had to stand straight, sleep straight, eat straight. Everything straight. At that time, all I wanted was to put on my own underwear. It was very hard. I still was coaching and I didn’t think I should go to the hospital. I didn’t realize how serious it was. I thought the muscles were just tight or something. At some point, I also realized that my mankind didn’t function (I hope you understand what I mean). Apart from that, my friends were telling me that this was the end of my career and I would never lift again. I might become paralyzed. That messed up my mind. I was ready to take anything or do anything so that I could lift again. Steroids was a part of it. But I spoke to some of my friends - @markabbott_official , Kristian, @dougblack85 - they all advised me not to do it because it wouldn’t help anything according to my situation. So I took their advice and I didn’t use anything or any drugs. I continued to train and compete with the back injury. I kept pushing it. Sometimes it would get worse and sometimes it was ok. But it got to one point I couldn’t bend my right knee or when I would wake up, I couldn’t walk properly. It was hard to laugh or lift weight. Every time I laughed. It hurt from my back and shot to my hamsstrainds and all the way to my calves The same thing when I lift, even on benchpress. My friend @Kristian Ridley advised me to do x-ray and an MRI. We went to the hospital together. I got an x-ray and MRI. That is when I found out that I slipped 2 disks in my spine. Directly I took a physiotherapy treatment at the same hospital. I was supposed to be off training for 6 months, but I only took 4 months. After that I was back to training again. This is very big progress for me. It has been 3 years since I got a back injury, with 2 slipped disks in my spine. For 3 years, I wasn’t able to bend round like that. Finally I can, after taking some of the best miracle care in the best hospital and physio in Bangkok. I have been competing with back injury for the 3 years and I know it’s not healthy, but I love to challenge myself and look for success. As bad as I wanna breathe, I couldn’t stop myself. But I am happy to say that I am better and stronger than ever before. I still need to train smarter and grow slowly. Ain’t no rush on the growing. Big thanks to @formphysiorehab for the support always make sure I am ok to complete. Big thanks to @armorstore for providing me with good quality equipment. Big thanks to @canterbury.thailand for the clothes making sure I look good and Comfortable gear. Big big to thanks to @fitwhey_official the are support, The Biggest supplements company in Thailand. I have been sponsored with @fitwhey_official since 2015 and I am very thankful with they support. FITWHEY supplement help me recover fast and stay healthy from all the heavy lifting. Since I increase one more year. I wanted to check if I will feel 29 years old. Well here we go 180kg for 4set of 3reps and last set 6reps. So man up a little. Strongman training today and finishing with 5 deadlift 20m farmers walk 520lbs/236kg. Before training today I had super motivation from my brother @dougblack85 and @tongnine I end up squatting a bit heavy 405 lbs/ 184kg for 8reps. And I will called that my 8RM. Thanks guys for keep pushing me. I am Back in to real training. My name is Patient Cena. I was born in the Democratic Republic of Congo. I have been living in Bangkok, Thailand for the past 5 years. I am a professional athlete and personal trainer. 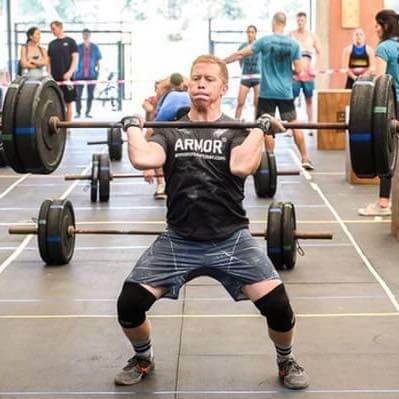 ​Since I joined Crossfit in 2013, it has been a life changing experience for me. I have learned a lot of things about weight training and now I want to share what I have learned with you. Book a session and come train with me!